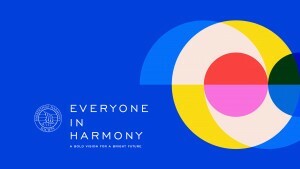 Home / Everyone In Harmony / Everyone In Harmony: Downloadable ResourcesBecome A Member! You’re invited to show your support for the Strategic Vision by downloading these resources and using them as a reminder to you and your chapters about the ever-growing Strategic Vision that will shape the future of our Society for generations to come. Download this 11″ x 17″ poster and utilize your local printer to place this poster anywhere you see fit, perhaps on the wall at your local chapter meeting location to remind your members of the Vision that we are all working towards. Would you like us to customize this poster for you with your own chapter photos? 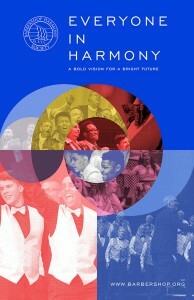 We will be happy to help create a custom version of this poster with your chapter and quartet photos to help better visualize your group’s role in helping promote the new vision. Email marketing@barbershop.org for information on service and pricing options. Right-click and save this to your computer and set it as your desktop background!